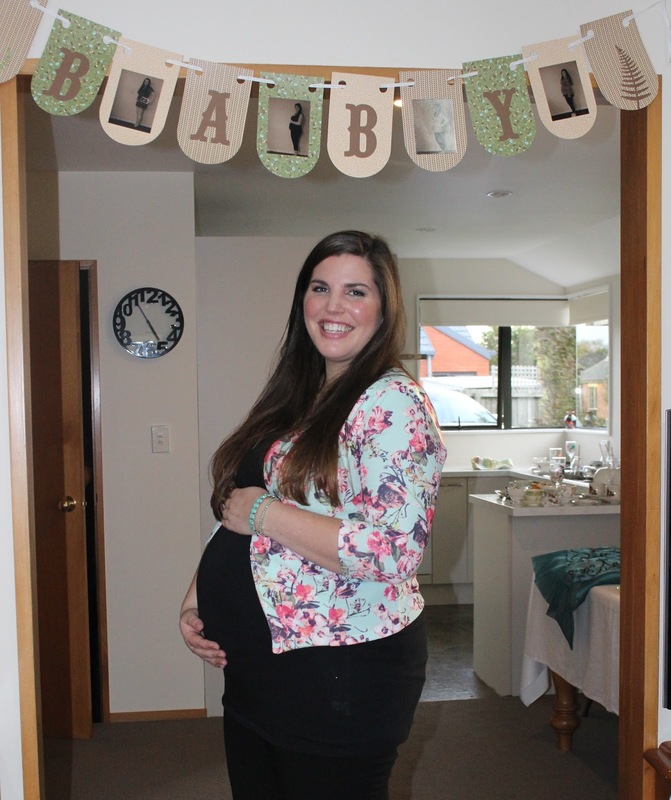 I am so excited that I am going to be an aunty again soon- my sister is expecting her first baby and I couldn't be happier! I know it is always special when a sibling has a baby, but it makes it even more special for me as she is my twin and we live right around the corner from each other. We are very close and I am expecting lots of new baby snuggles! I absolutely had to throw her an amazing baby shower. We settled on a woodland theme as my sister is very into neutrals, realistic animals and woodgrain. With the help of three of her friends, my mum and myself, we were able to throw her a baby shower that I loved, and I hope she loved it too. 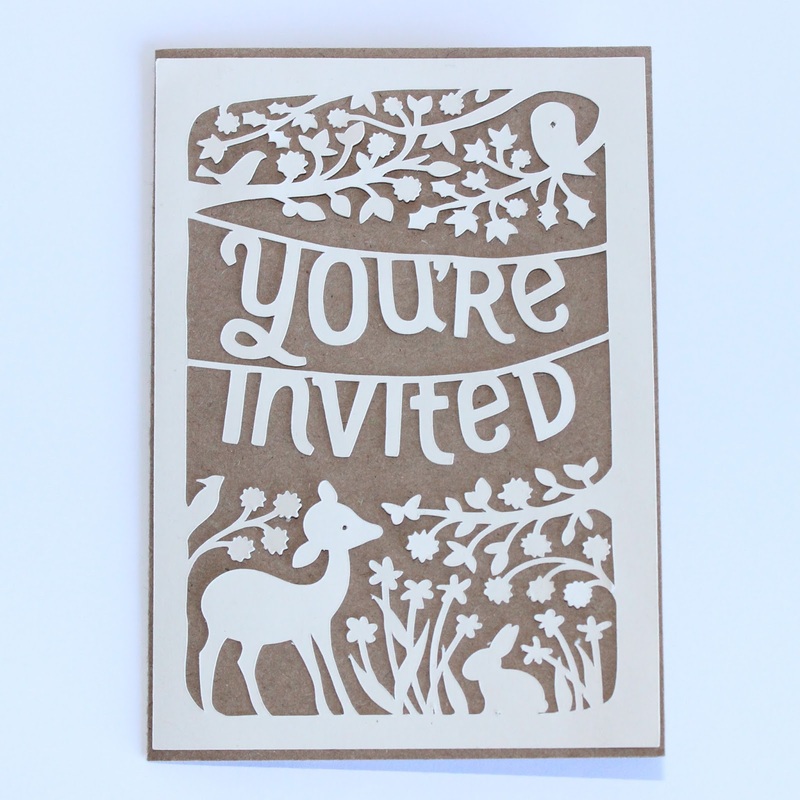 First up were the invitations. I created these on my Cricut using the Dream Big cartridge. The Kraft and Colonial White blended beautifully to set the theme of the shower. The inside was written in a variety of fonts using my Cricut pens, with some leaves cut from the Artistry cartridge on my Cricut. I loved being able to put my pens in the machine and let them do all the writing! 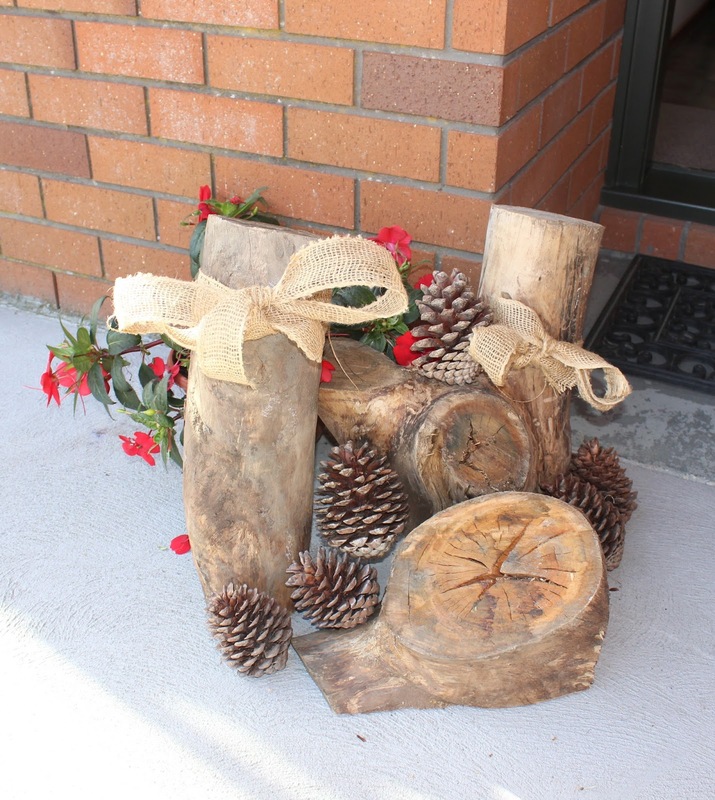 When guests arrived, they were greeted by the wooden stumps and pinecones with a big burlap bow, a theme that continued throughout the decor. 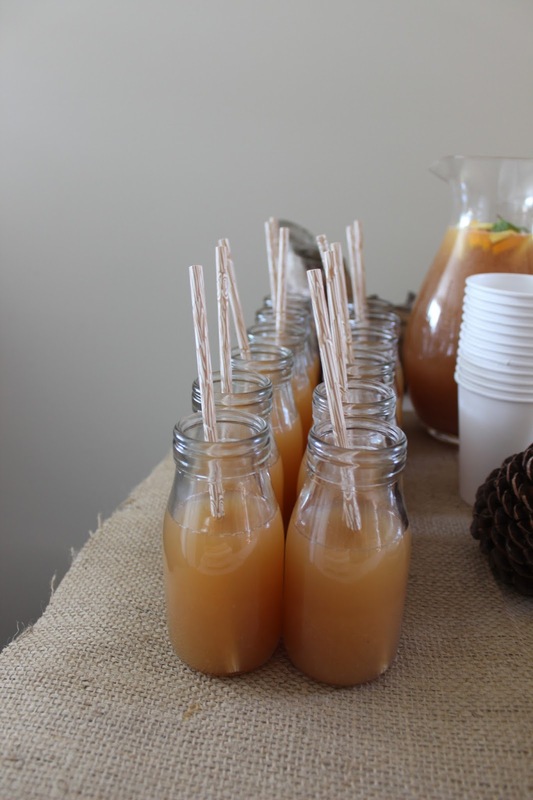 My mum made her delicious punch, which I put in glass milk bottles with Woodgrain Straws. We also used some Jute Sheets as table runners on the table, which gave a great rustic feel. We decorated the sitting area with these Gold and Chocolate Pompoms, which I thought looked like pinecones for our Woodland theme. We were lucky enough to get some beautiful china to use from Vintage Tea Party- an amazing company that supplies everything you need (including catering if required) for a fancy high tea event. Tea always tastes better from a fancy cup! 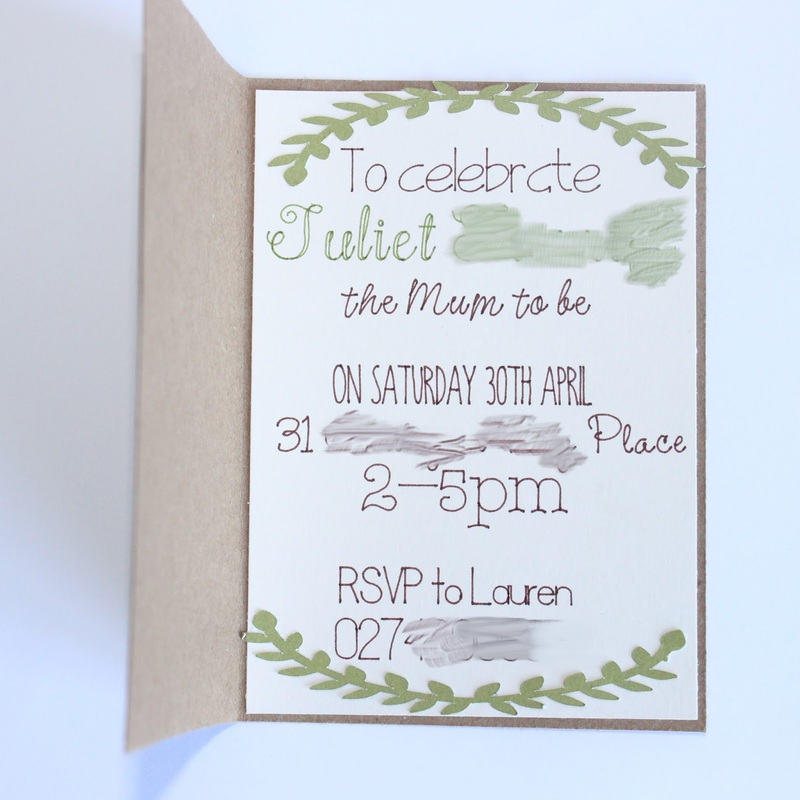 I stamped and watercoloured some cards to write wishes for baby and the new parents. I then cut a branch from my garden (well, actually I sent hubby to do that job!) and placed the branch in my mum's white owl vase. 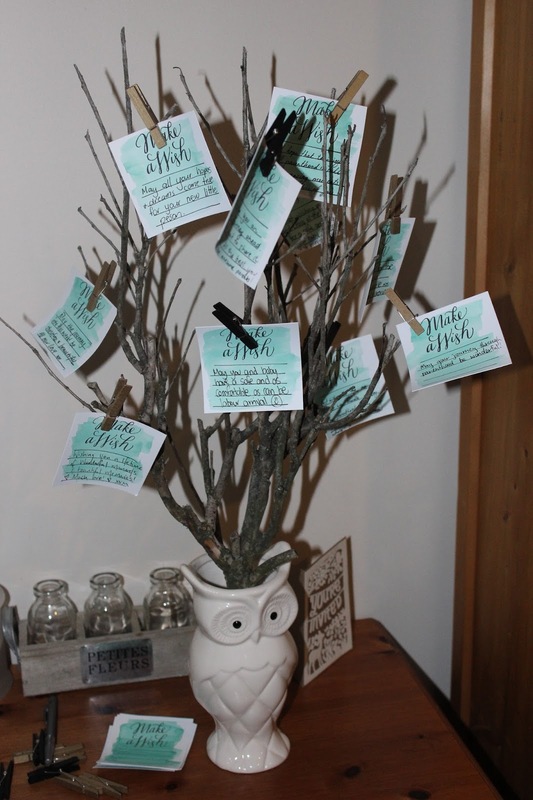 The guests then clipped on each wish to the branch to create this pretty focal feature and create a lasting memory for the mum-to-be. You can't have a baby shower with food! 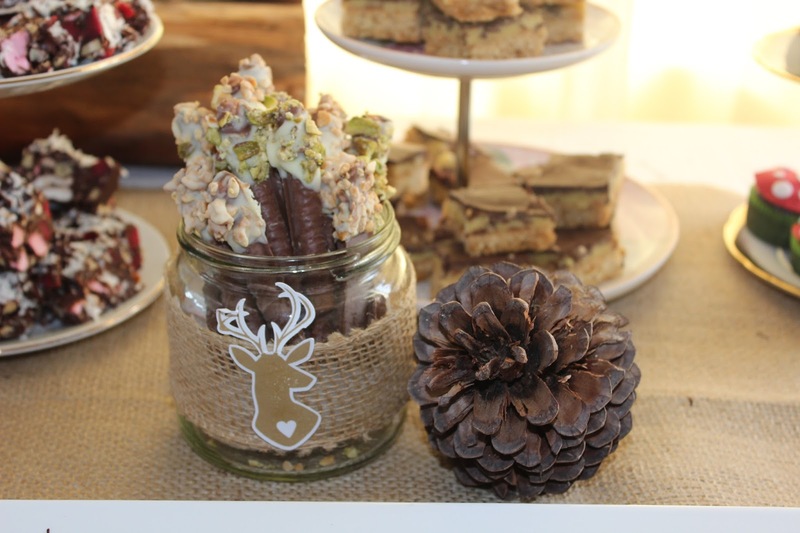 We spread the Jute Sheets over the white table cloth provided by Vintage Tea Party, and also placed logs, pinecones and lilies on the table. 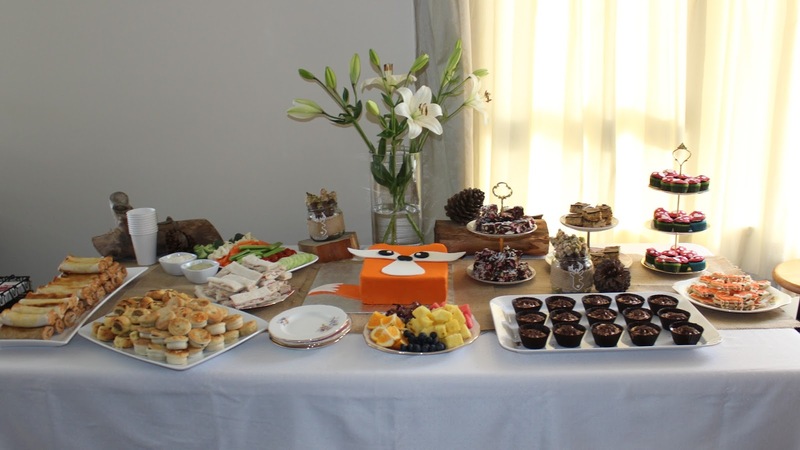 The food included cheese rolls ( we are Southern girls after all), mini savouries, fruit and vegetable platters, chicken, cranberry and cream cheese sandwiches, chocolate mousse cups, rocky road, chocolate finger twigs, caramel slice, toadstool cupcakes and fox cookies, as well as a Fox cake. The chocolate fingers were rolled in white chocolate then either crushed peanuts or pistachios to look like twigs. 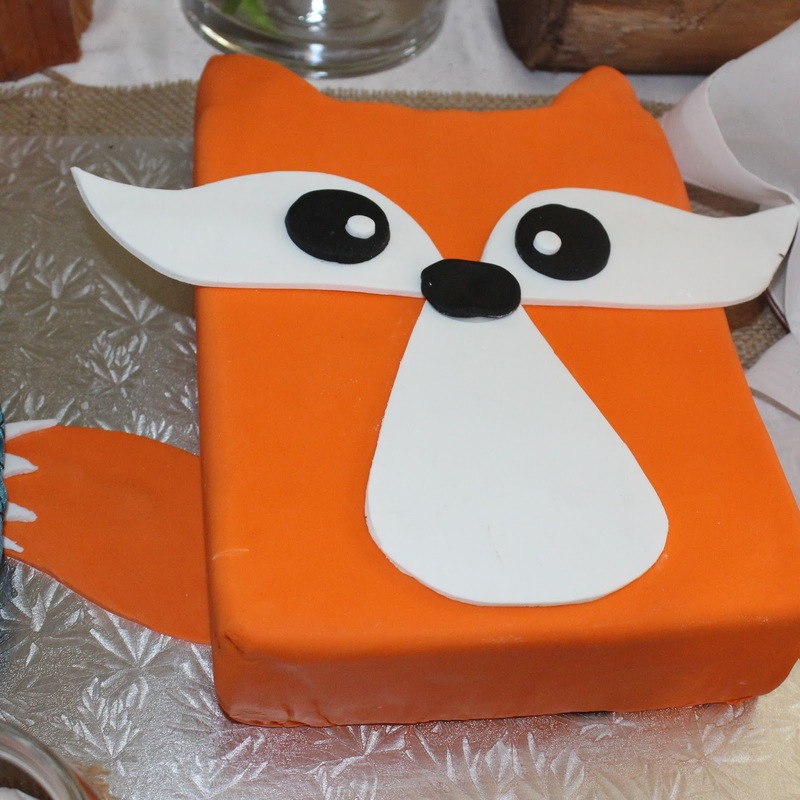 The toadstool cupcakes were made by a friend of a friend and I made the fox cookies with some standard buttercream icing and this fox cookie cutter. 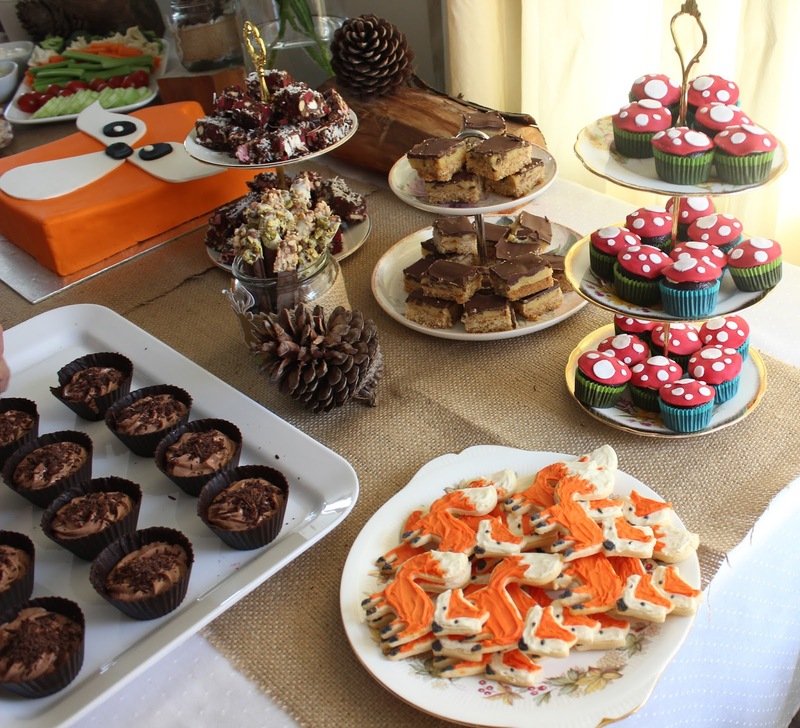 And look at the mousse cups and that amazing fox cake, made by our wonderful friend at Catering in a Box. I wrapped some Burlap Roll around some glass jars and added a stamped stag head on each one to create containers for the chocolate fingers and the cutlery. I also created this banner as a decoration for the shower, using up some old scrapbooking paper and placing photos of my sister in various stages of pregnancy along the pennants. 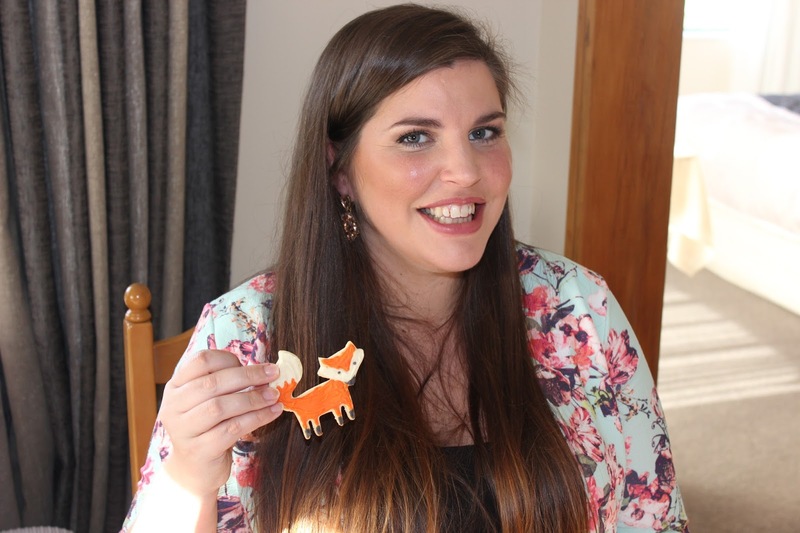 My sister loved the fox cookies as well as all the other little woodland touches. Here is a close up of the cake- a chocolate mud cake with some amazing fondant work. I heard it was delicious! 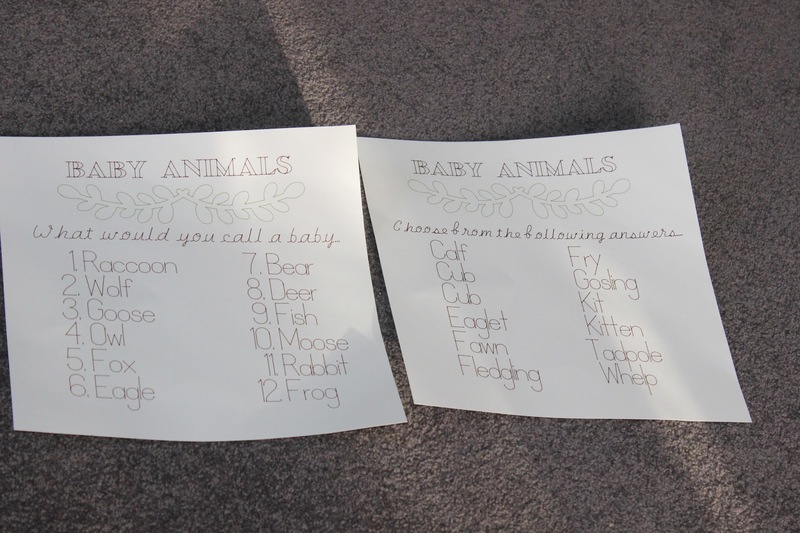 The baby shower games we played were fun but simple to organise. 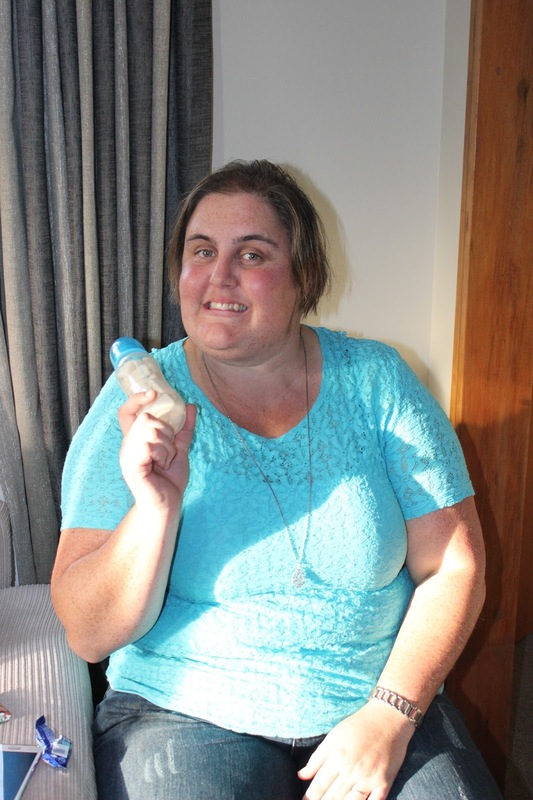 We filled a baby bottle with milk bottle lollies and whoever guessed the correct number, or closest to the correct number, won the bottle of lollies. The Cricut helped to make this game too, where you had to match the baby animal with the correct name. This one stumped a few people, but we had a former vet nurse who won the game! 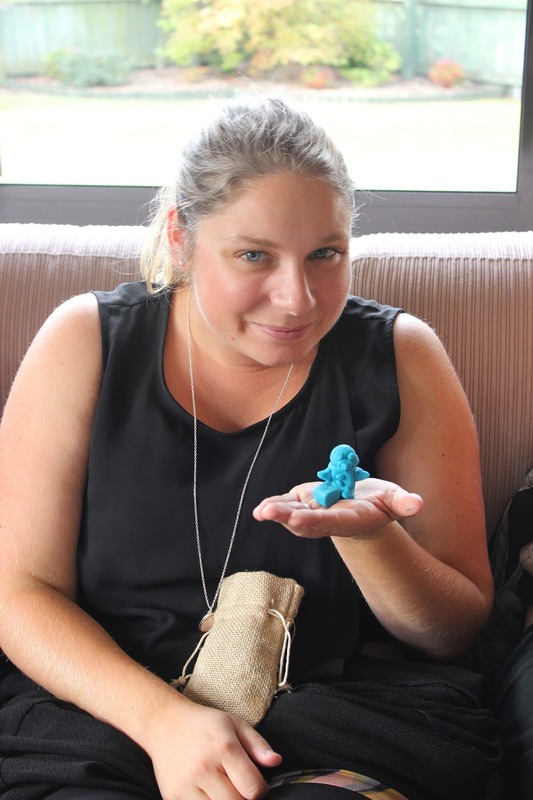 Another game was that everyone had to create a Playdoh baby, and my sister picked a winner and a "Most Creative Baby' runner up. The prizes were little burlap bags filled with spearmint leaf lollies. We also played Baby Pictionary using this printable, it was hilarious but I don't have any photos as I was busy handing out the cards. Isn't she absolutely glowing! I so enjoyed throwing this baby shower for my sister. My gorgeous sister, I can't wait to meet your little one and I wish you all the best. What a great theme. Love it.